What a sight for sore eyes! The SUN is shining! There are definitely starting to be some “photo worthy” places along the roadsides, but it’s still a little early in the season. There are some decent spots out in Independence and Old Baylor. Also some places near Walmart & Home Depot in Brenham. This past weekend, Wildflower Haven posted an update from one of their “scouts” on their page who visited the area. They reported, just as we have been, that we’ve just not had enough sunshine yet this Spring but we have hopes that with some warmer/sunnier days ahead, we’ll have a great wildflower season. Photo taken today near the old schoolhouse in “downtown” Independence. Yes, the Independence site is nice with good photo opportunities. The old Baylor Female College site on FM50 is nice too. 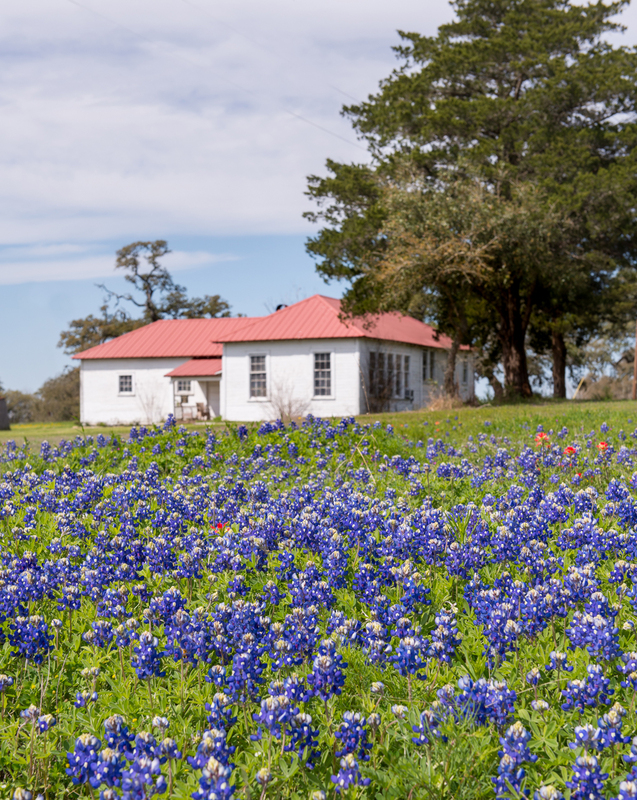 Sadly, the First Baptist Church off hwy 290 in Chappell Hill has eradicated every last bluebonnet on their site. Met a lot of very disappointed people in the empty, bare parking lot. Possible that the sight seers did too much damage to their property in the pasty, but still sad….